I came, I saw, I lounged. Sunday, a hive of activity. 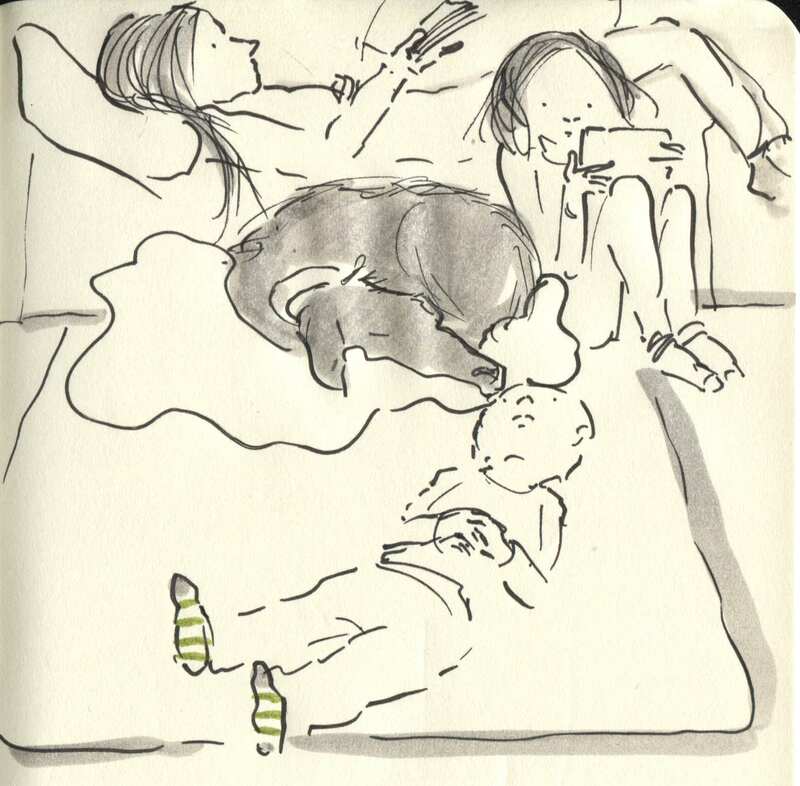 Posted on October 19, 2014, in Uncategorized and tagged Children, Dogs, Doodlemum, Drawing, Humour, Illustration, Life, Pen and Ink, Sketchbook. Bookmark the permalink. 5 Comments. Looks like a nice, relaxing lazy sunday! The best kind of Sunday. Gathering strength for the strenuous week ahead.